Athens-Clarke County, GA has a lot to offer its residents. The beautiful community is home to the idyllic University of Georgia and its over 36,000 students. It’s home to several leading manufacturing companies, two major hospitals, and a successful school district. As a result of its many opportunities and diverse offerings, is a place with a small town feel but all the amenities of a large community. 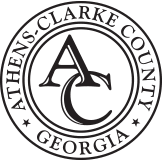 Athens and Clarke Counties unified in 1991 to form a combined city-county government serving approximately 120,000 full-time residents. According to Marc Beechuk, Athens-Clarke County Planner II and Neighborhood Notification Initiative Coordinator, it’s important to the unified County that all its residents feel informed, and that they have a voice in the decisions that impact their community. A significant component of Athens-Clarke County’s engagement strategy is its Neighborhood Notification Initiative (NNI), for which Beechuk serves as the coordinator. NNI was adopted by the Mayor and Commission in May of 2005 with the goal of improving communications between the county and local neighborhoods about construction projects proposed in or adjacent to the neighborhood's boundaries. Once an application is submitted to the Planning Department and placed on the appropriate agenda for review, a notice is emailed to people registered to receive NNI communications for the Neighborhoods, Overlay Areas and Commission Districts within which the project falls. Everyone, regardless of residency location, who is interested in staying informed about County initiatives, is encouraged to sign up for a notification based on neighborhood name, overlay name, or commission district. Individuals also have the option to sign up for all notifications, which includes the 38 neighborhoods, 10 Commission Districts, and 13 overlay areas. The notifications include weekly administrative plan review meetings, monthly public hearings from the Planning Commission, monthly public hearings from the Hearings Board, demolition reviews, and monthly public hearings from the Historic Preservation Commission. For citizens who sign up for all notifications, they’ll receive anywhere from seven to 13 notifications per month, depending on the County’s current initiatives. Managing all the notifications is time well spent for Beechuk, as the program has been successful in helping the County to reach its goals of engaging a wide variety of residents across its communities. Today, Beechuk uses the CivicEngage Send communication creation and distribution solution to manage his notifications. 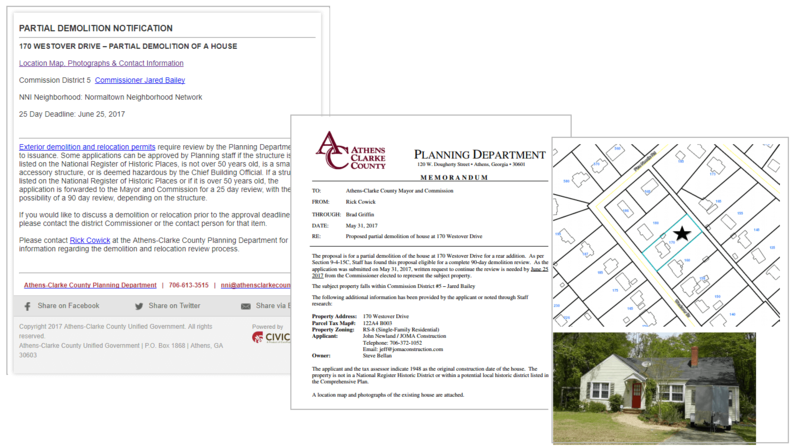 The first NNI communications in 2005 were sent through a listserv managed by the Athens-Clarke County Planning Department. By 2007, the County was utilizing a system that allowed users to select their areas of interest and then filtered the emails so that subscribers would not receive duplicate notifications for projects that fell within multiple interest areas. When the administration converted all its county websites to the central CivicEngage® content management system, it was important to the Planning Department to continue to allow users to manage their own subscriptions and to avoid receiving duplicate emails. Initially, the County utilized CivicEngage’s Notify Me® citizen communication subscription feature. According to Beechuk, the CivicEngage Send platform is easy to manage, even for someone using it to create and send multiple communications per week and per month. The most important aspect of the easy-to-use platform, for Beechuk, is that it allows him to keep citizens quickly and easily informed. With CivicEngage Send’s template functionality, Beechuk can even plan ahead for his weekly, and monthly notifications. Beechuk’s notifications incorporate dynamic content, such as maps, and link to important features within the County’s CivicEngage website, such as calendars and agendas, allowing citizens to click for more in-depth content. Athens-Clarke County’s notifications are sent to subscribers via email and SMS, giving citizens a choice for how they prefer to receive notifications. To date, over 1,000 citizens have signed up to receive notifications through the NNI. From there, the number of shares, social media posts, and forwards only serve to amplify each message. For more informatin on CivicEngage Send, click below to download our product fact sheet.